Kaplan Construction worked on two projects during the summer of 2014 at Boston College’s O’Neill Library, one of the center points of the college’s campus. 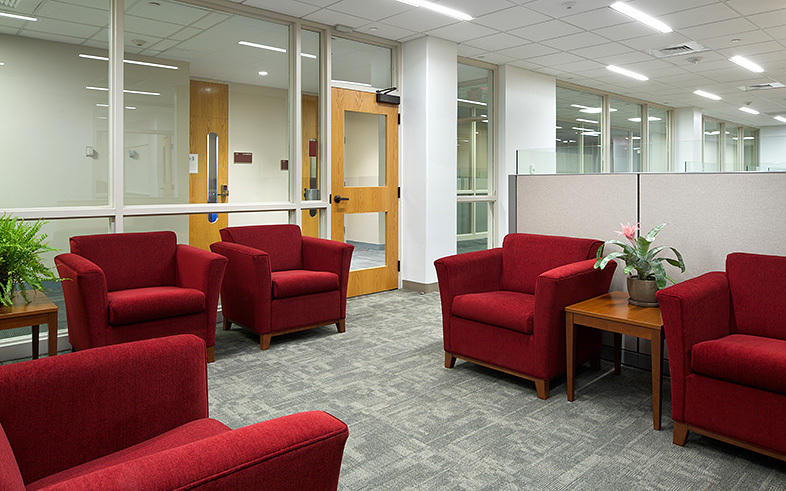 Over the course of three months, Kaplan completed the first phase of renovations at the Center for Teaching Excellence (CTE). Designed by Lavallee Brensinger Architects (LBA), the two-phase project answered the school’s request for a well-located and attractive place for staff members who were previously dispersed in different departments. The library was occupied during construction and Kaplan did much of its work after-hours to avoid disrupting students and staff. During this time, Kaplan Construction also renovated the main circulation desk and reconfigured the back office for increased efficiency and functionality. 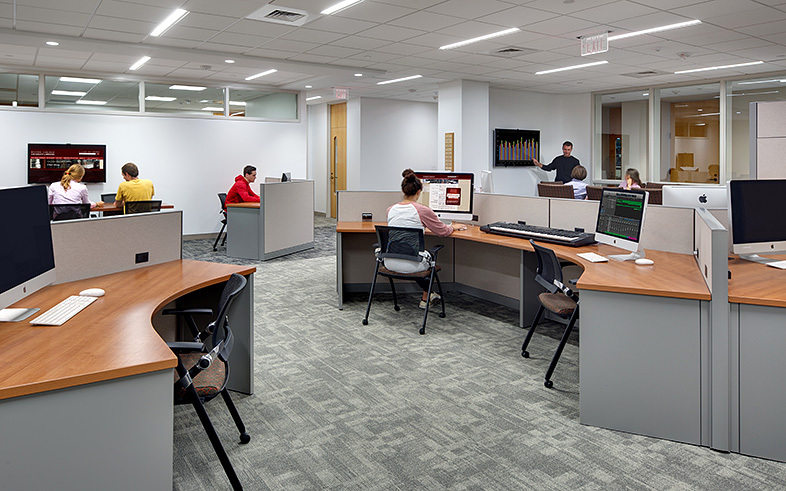 In 2015, Kaplan completed the second phase of renovations at O’Neill Library and renovations to Devlin Hall’s Slide Library to create a new digital media lab. Our part of the project went great. We always knew in advance of any work that would impact us as Kaplan always kept us in the communication chain, and the on-site project staff was always professional and responsive to our daily needs. Our new renovated space looks great and is being received well by the students and staff who are using it.